The most special and important thing for the women, who always care about clothing is their skin. Clothes reveal the style of women, it is very important to use personal care products for a healthy and well-groomed skin that is more important and definitely will keep the clothes in the background. Doing skin care regularly with the right materials in young ages will keep your skin remain fresh and youthful even in later ages. There is no age limitation to use personal care products, although the general perception is to use personal care products in older ages, experts say that this is not true, and it is necessary to use age-appropriate products from a younger age. Personal care products are used specifically for the different parts of the body. It is necessary to select the personal care creams carefully, especially for the face. When selecting hand, foot or face creams, it is necessary to carefully examine the contents of the products. And it is a fact that you should be more careful if you have an allergic body reaction to care products. Masks are also included in a variety of personal care products available. There are different types of masks that can be applied to clean skin. It is necessary for the skin care to use these masks, which are produced especially for the face. Regular usage of masks should be a routine throughout the week. Especially if you prefer masks with peeling effect, you can also support and open pores in your skin. In addition to skin products, hair care is also important for women to feel more healthy and well-groomed. You can start taking care of your hair by taking shampoo, which is produced with good materials.Hair masks can be applied to your hair shortly before bathing, and you can wash your hair after your hair thoroughly absorbed the product. As with all personal care products, if you regularly apply these masks for your hair, the hair will increase in volume in a short period of time and the splitting appearance will be reduced. Among the personal care products, sun creams come at the beginning of these products that must be taken and used every day. It is recommended to apply sun creams regardless of the season whether it is summer or winter. In order to get rid of the harmful effects of sunlight, it is especially recommended for the ones who has lighter skin types. Skin is the most important part of the body that should be taken care from a younger age. 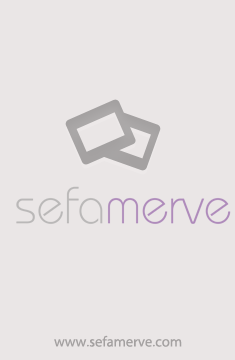 You can also find the skin care products of the best brands in Sefamerve.com, which considers the skin care of women as much as the clothes, and you can buy them at very reasonable prices by following the campaigns.